Plaster mother mold with inner rubber mold and plaster core. 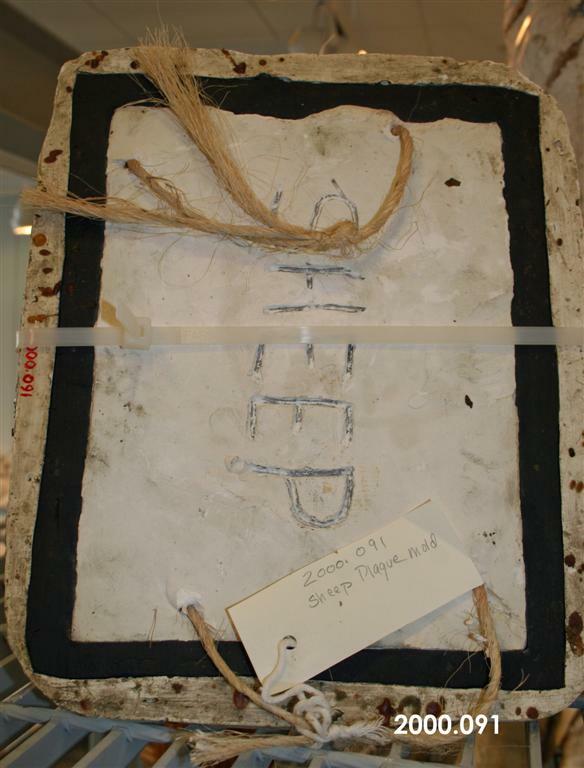 "Sheep" etched in plaster. Bound with plastic zip ties. 12" x 10" x 3.5"
Fredericks, Marshall M., 1908-1998, “Sheep Plaque, The Guests Have Arrived, Mold, [Plaster and Rubber],” Marshall M. Fredericks Sculpture Museum, accessed April 21, 2019, http://omeka.svsu.edu/items/show/5619.